There may have been a happy dance going on in Casa McIver when I found this recipe in the latest Cooking Light mag: a boozy, ice creamy, rich and wonderful float. 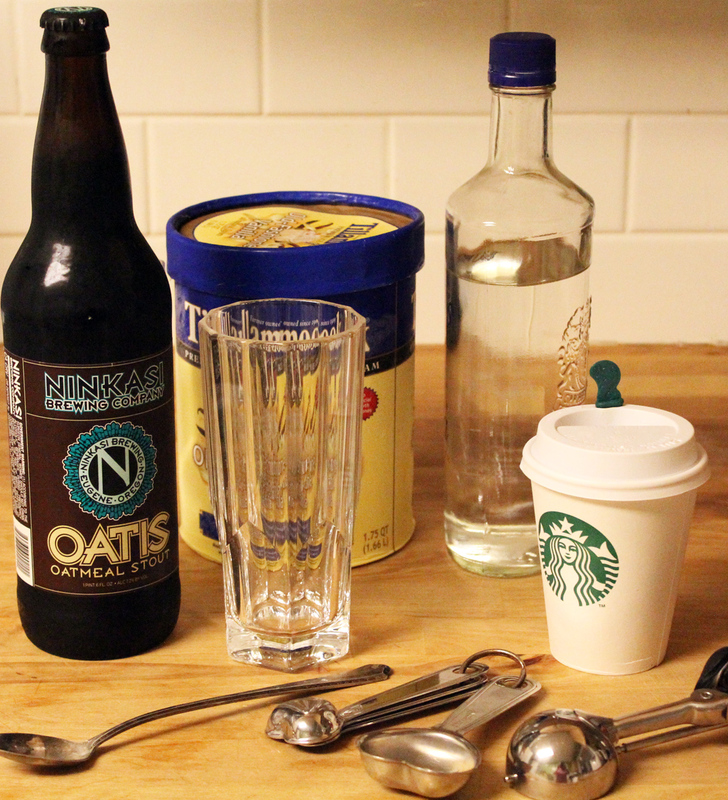 This cocktail has some of my fave components... dark beer, espresso, ice cream. It ends up tasting chocolaty and amazing. We have made these three times since the magazine hit the mailbox. 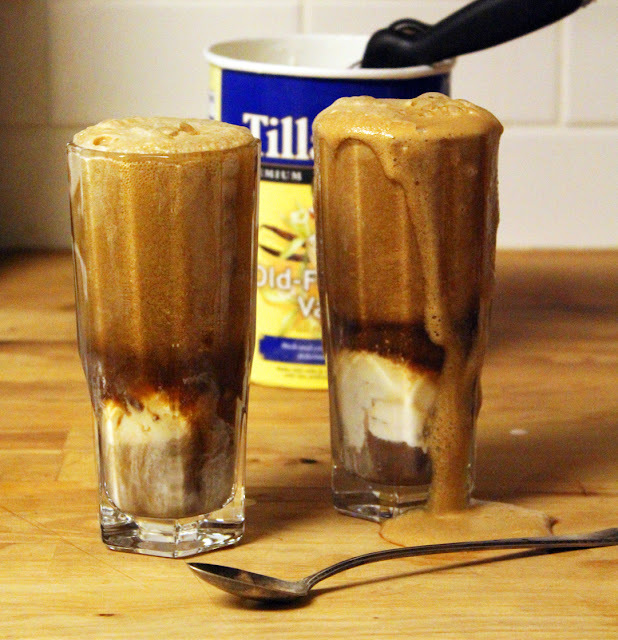 Divide ice cream into two small glasses. Top each glass with 1 tablespoon vodka and 1 tablespoon espresso. Pour beer over - try not to spill... as you can see, I was a little excited.